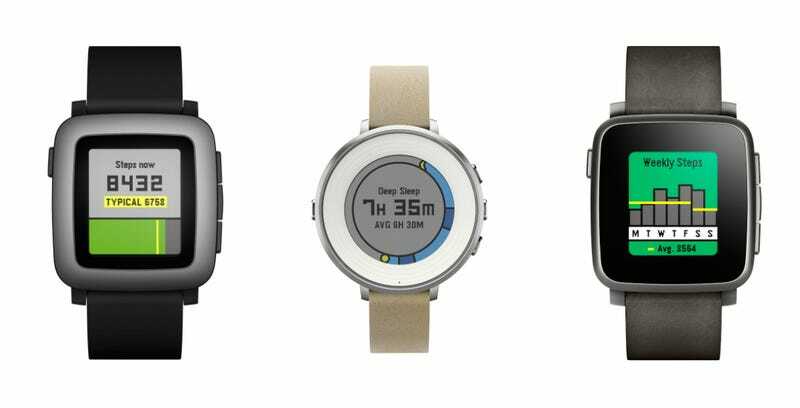 Pebble has been the “little wearable that could” ever since it debuted its first smartwatch on Kickstarter in 2012. Since then, the company’s added impressive hardware and software piecemeal over the last three years, and its latest addition is Pebble Health. Building off of Pebble’s 24/7 step and sleep tracking introduced last year via Jawbone or Misfit’s apps, Pebble Health is a more fully featured application that integrates directly with Pebble’s timeline. It still counts steps and sleep, but now offers insight on how to improve sleep (by suggesting an earlier bedtime, for example) and compares your steps to your daily average rather than a preset goal. The app was built in partnership with Stanford’s Wearable Health Lab and will only grow from here, with Pebble also releasing a Health API so developers can build virtual coaches or watchfaces leveraging Pebble Health. The little bit of bad news is that this app will only be available for Pebble’s Time series of smartwatches, including the Pebble Time, Time Steel, and Time Round. However, the app does integrate with both Google Fit and Apple Health, so you can keep track of your health no matter what smartphone to which you’re currently tethered. To get the new Health features, make sure your Pebble app and watch are updated with firmware 3.8, and you’re good to go.